PICTURES of a perfect pair, inseparable mother and daughter Noelene and Yvana Bischoff flashed on the screen in a moving memorial service at Caloundra Christian College this morning. Hundreds packed the Caloundra CityLife Baptist Church to remember and celebrate the lives of the Wurtulla pair who suddenly died in Bali at the weekend. Tributes painted a picture of a loving, hard working mother who doted on her vibrant and intelligent daughter. 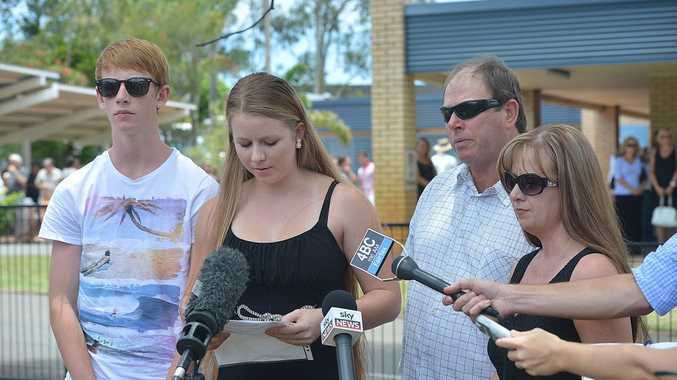 Caloundra Christian College principal Mark Hodges said Yvana was a "delightful young lady' with plenty of potential. "Yvana was a high achieving student and because of her love for life, she was involved in everything," Mr Hodges said. "Yvana was a delightful young lady. "She made a tremendous impact on the lives of our teachers and also students in our college. "Our entire college community has a very great sense of deep sadness." Following the service, Grasienne Bischoff, Noelene's niece and Yvana's cousin, gave thanks to the community on behalf of the family. "We'd like to thank from the bottom of our hearts all those who have reached out to us during this very sad time," Miss Bischoff said. "We've been through unimaginable pain and suffering this week, but we draw strength knowing they are finally coming home and we thank the tireless efforts of some very special people." Yesterday, Acting Attorney-General David Crisafulli confirmed the Bischoff family had accepted an offer from Virgin Australia to fly the bodies of Noelene and Yvana from Bali to Queensland in the coming days for free. 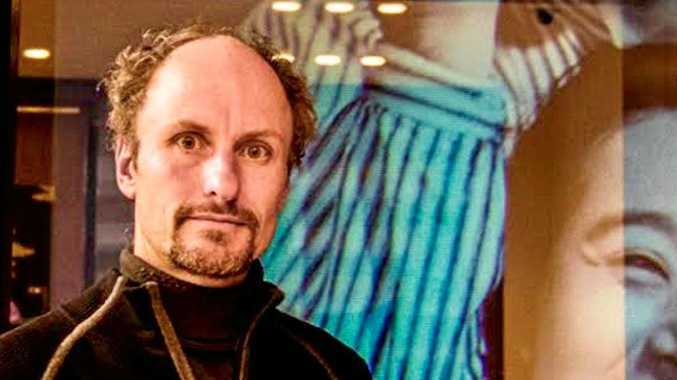 Fragile and overwhelmed since the sudden deaths of their loved ones, the Bischoff family has asked for space from international media in the lead-up to today's memorial service. 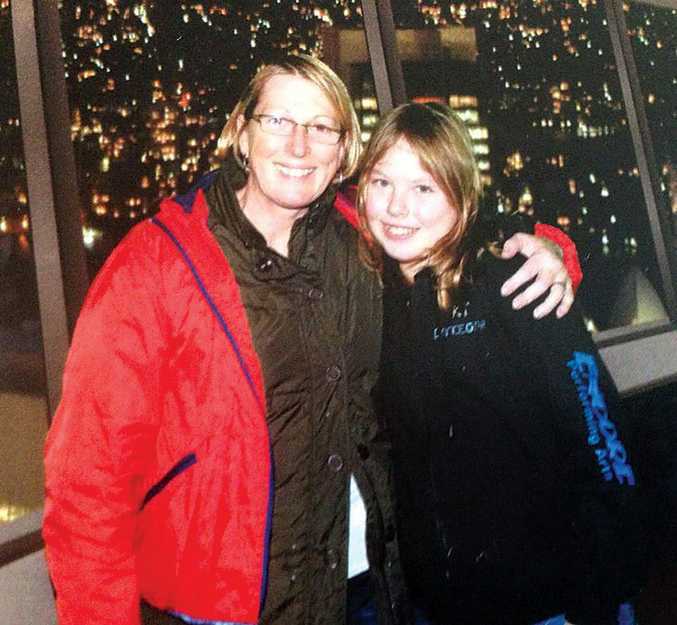 Mystery still surrounds the deaths of the 54-year-old mother and 14-year-old daughter, who died in the early hours of Saturday after becoming violently sick. "It has, as you can imagine, been a very difficult time for our family and it is far from over," Noelene's brother Malcolm Bischoff told the Daily. Hundreds have gathered at the Caloundra Citylife Baptist Church to remember Noelene and Yvana Bischoff. Noelene leaves behind her sister Desley and brother Malcolm, mother Jean, sister-in-law Keryn, brother-in-law Kevin and cousins Belinda, Kate, Chris, Grasienne and Logan. "This has been a horrendous start to 2014," Malcolm said. "Words don't express, to be honest." Member for Fisher Mal Brough is working with the family to help them through the process of bringing "their girls home". The cause of the shock deaths is still unknown. There have been suggestions of a food allergy, food poisoning, methanol drink-spiking and even suspicious medication. Mr Brough said it was "upsetting" for the Bischoffs to have seen suggestions in national media that prescription drugs found in the pair's hotel room could have something to do with the deaths. Through Mr Brough, the Bischoffs thanked all Australians for their support.